Howkins will replace Bek Hassan who transfers to a senior position in Paris, working for the PSA Group. British-born Howkins started his career as a management trainee in a Vauxhall dealership and is currently managing director of Opel Switzerland. 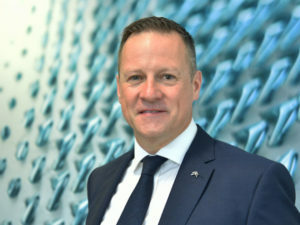 He has previously held the roles of deputy managing director of FCA Fiat Chrysler Automobiles UK, managing director of Opel Netherlands and fleet operations director for Vauxhall Motors.